Open Road Media sponsored this post. It’s hard to grasp the unfolding disaster that was the 1940 Battle of Dunkirk. For nine days, Britain evacuated 200,000 of its soldiers—most of the United Kingdom’s trained troops—along with nearly 140,000 Allied soldiers, from northern France with a fleet of naval vessels and appropriated civilian “little ships” while under near-incessant air attack. The German army had split the Allied lines, pinning the British Expeditionary Force and the French and Belgian troops to the sea. Without the rescue, Britain would have likely fallen to fascism with the rest of Europe. And until the shell-shocked troops began arriving in British ports, the public was largely unaware of what was happening. Lt. Michael Lyne, a Spitfire pilot, was flying air cover for the evacuation when two German Me 109 fighters jumped him, damaging his plane and forcing him to limp back to England. 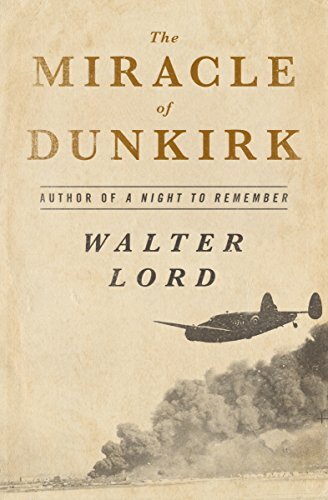 Wounded and bleeding, Lyne crash-landed on a beach in Kent as onlookers on their Sunday stroll watched, “all enjoying a leisurely promenade under the warm May sun,” Walter Lord wrote in The Miracle of Dunkirk, a military history classic now available as an ebook from Open Road Media. The actual outcome of Dunkirk, May 26 to June 4, 1940, was a disaster. Most of the British Army’s equipment fell into the hands of Nazi Germany. France capitulated to the German invasion later that month. More than 68,000 British troops were killed, wounded or captured. But the rescue of most of the BEF kept the United Kingdom in the fight, and it bound the British public together for the first time in a war that had not—until the battle—hit home. 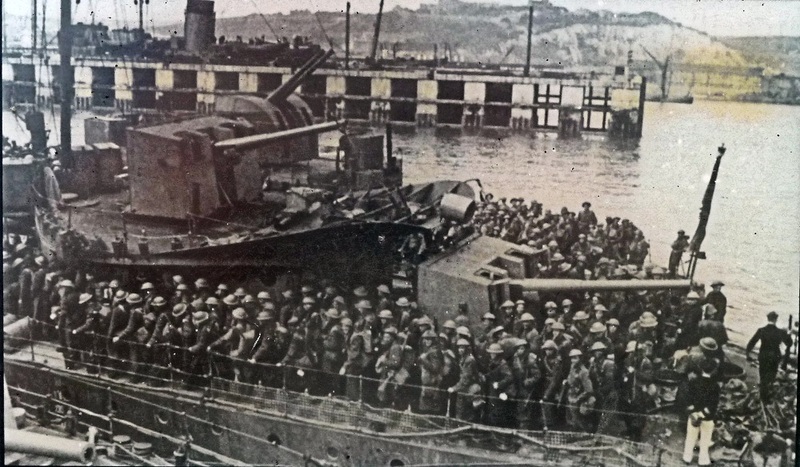 British troops arrive at Dover after escaping Dunkirk. Lord’s narrative unfolds on a day-by-day basis and focuses heavily on the ingenuity of individual soldiers, airmen and sailors—who were often frustrated by their environment and their own side as much as the enemy. Dunkirk was traumatic but also bizarre. Individuals dealt with their fate in different ways. In the town of Dunkirk, soldiers hid in cellars to avoid being bombed, or were indifferent and drank coffee in the open as if they were on vacation. One soldier took his paperback novel to the beach and sunbathed as Luftwaffe planes carried out attack runs. Sgt. Bill Knight and four other soldiers became trapped behind German lines, so they took a truck and discreetly joined a German convoy heading south in an attempt to link up with Allied troops at the Somme. The Germans were driving captured vehicles—most of the German army at this time was still horse-drawn—and never noticed Knight’s truck puttering behind them, Lord notes. On the front line, Capt. Jack “Mad Jack” Churchill, who later became a famed commando, didn’t have his broadsword with him at Dunkirk—yes, he typically carried a broadsword—so he instead shot a German soldier in the chest with a bow and arrow. “For perhaps the last time in history, the English bow—the weapon that turned the tide at Crecy and Poitiers six hundred years earlier, had again been used in battle,” Lord writes. Charles Lightoller, the most senior officer to survive the RMS Titanic disaster, diligently enforced “women and children first” as that legendary passenger liner went down in 1912. 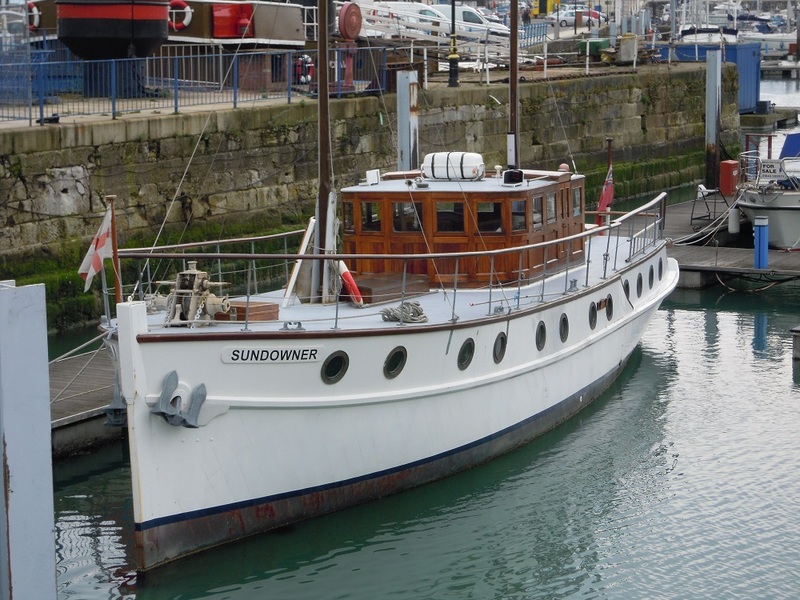 During Dunkirk, the 66-year-old Lightoller and his son set sail in their yacht Sundowner from Britain to rescue 130 soldiers, dodging and weaving across the channel during the return trip while being bombed and strafed—but never being hit. The outstanding The Miracle of Dunkirk also doesn’t neglect the role of French forces at Dunkirk, often ignored in English language histories until Lord’s work. They bought valuable time, every minute of which helped save the Allies—and the war.